This frosted glass and aged tin star light with cutout shapes makes a remarkable lighting addition to any room. Add a warm glow to your southwest, rustic, or Spanish colonial decor. 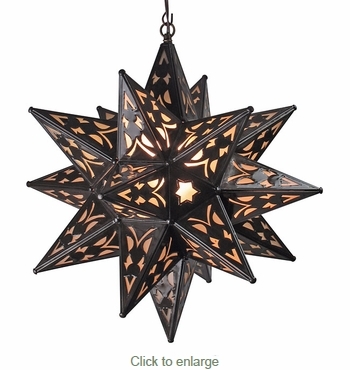 Our hanging star lights are all handcrafted by talented metal craft artists in Mexico.